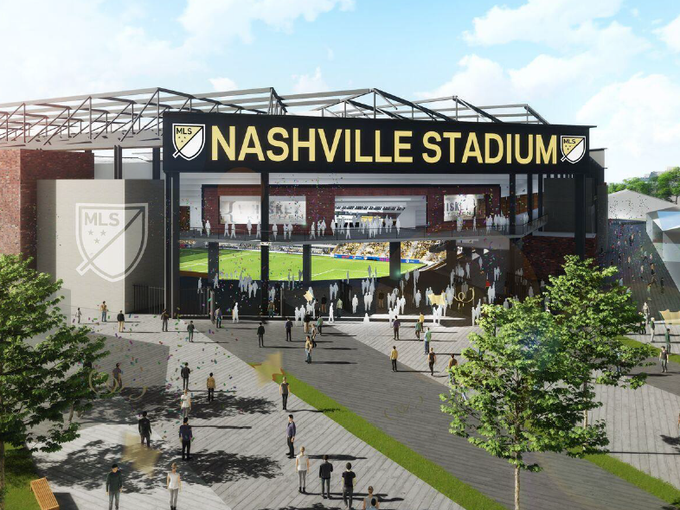 Big hurdle passed today in the pursuit of an expansion Major League Soccer facility, as the local Sports Authority authorized $225 million in bonding for a new Nashville MLS stadium at The Fairgrounds Nashville. Under the plan, Nashville Metro would issue up to $225 million in revenue bonds for the construction of a 27,500-seat stadium. It would also provide land for the project, and borrow $25 million in general obligation bonds to pay for infrastructure upgrades at the site. Meanwhile, the ownership group led by John Ingram would commit a $25-million cash payment, and pay $9 million annually to the Metro Sports Authority over a 30-year lease. 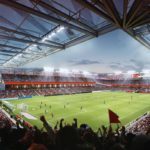 That would cover some of Metro’s expected $13 million in yearly debt on the stadium, with the remaining $4 million covered by sales tax revenue generated by the facility, and a $1.75 tax would be added to every ticket that was sold. The approval by the Nashville Sports Authority — which came after six minutes or so of discussion — is one step in the process, but not the final step; a future lease would need to be worked out. And while the full Metro Council needs to sign off on the bonding as well (a vote is scheduled for Nov. 7), they’re also contingent on Nashville being awarded an expansion team.